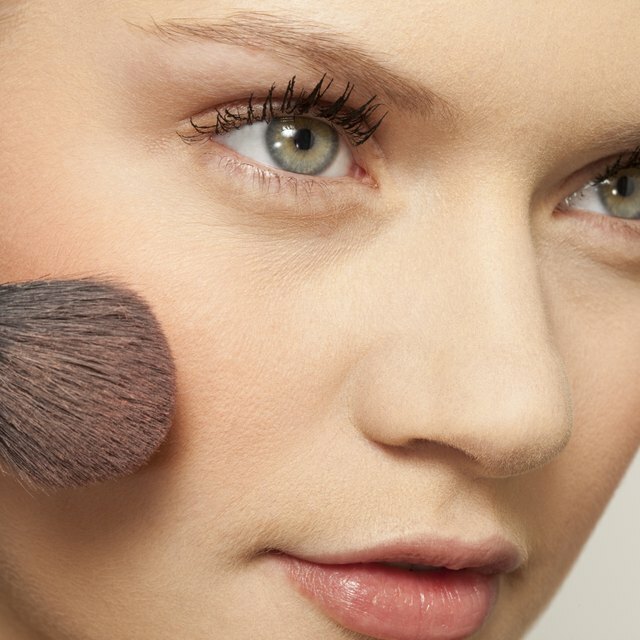 3 What Is the Best Makeup for Sensitive Skin? After writing the 3 tips for reading cosmetic labels post, I thought I would get a little more in-depth about questionable ingredients that I prefer to avoid. I chose 5 of the ingredients that I try to avoid the most. Studies have suggested that these ingredients may be harmful, and while conclusive research into their effects on humans is not available, it may be wise to avoid them unless they are proven to be safe. Phthalates are chemical plasticizers, commonly used to soften plastic and make it flexible, when it would otherwise be very hard. They are also found in personal care products: in lotions, to penetrate and soften the skin; in perfumes, to make them last longer; in nail polish, to prevent chipping. Unfortunately, there are so many different types of phthalates, that it can be difficult to identify them when looking at a product label. They may often be simply labeled as “fragrance” or “perfume,” as manufacturers are not required by the FDA to disclose the ingredients used to create a fragrance. Different phthalates can affect the body in different ways. Studies on animals have shown that some of these plasticizers can affect the endocrine system and they have found to be interfering with normal sexual development in rats. They have also been found to affect human fertility and reproduction. Another study conducted in Mexico showed that exposure to a phthalate called diethyl phthalate might be associated with increased risk of breast cancer. While more research is needed to determine how these chemicals may affect humans, the similarity in hormone production between rodents and humans suggests that the effects may be similar. How to avoid: Choose products that do not contain fragrance, unless the product is 100% organic. Avoid products that come in plastic #3, #6 and #7 as a phthalate-free product may be in a plastic jar that leaches phthalates in it. Use only 5-free nail polish. When in doubt, contact the manufacturer to confirm that the product is phthalate-free. Triclosan is a synthetic antibacterial agent that is found mainly in antibacterial soaps, but can also be found in some acne products and toothpaste. One of the concerns about triclosan is that it may contribute to the development of antibiotic-resistant germs, and it may also negatively alter immune function over the life course. How to avoid: Choose triclosan-free products. Triclosan is often listed as an “active” ingredient on top of the ingredient list of a product. Use plain soap to wash your hands or choose a tea tree oil-based antibacterial soap. Tea tree oil is a powerful antibacterial and antiseptic plant-derived ingredient. SLS is found in shampoos, toothpaste and other cleansing products. There are two main concerns associated with SLS: One is that it is a highly irritating ingredient; Second, the manufacturing process to make SLS causes the contamination of the chemical with 1,4-dioxane, a suspected carcinogen. I have personally experienced serious discomfort due to SLS in toothpaste. I began to suffer from mouth ulcers shortly after moving to the United States. A dentist suggested that I quit using a toothpaste with SLS, and once I did, the improvement was immediate. How to avoid SLS: Choose SLS-free products. They are clearly listed as sodium lauryl sulfate/sodium laureth sulfate on the ingredients list, so you will be able to identify them. Synthetic fragrances, generally found on a cosmetic label with the name of “fragrance” or “perfume,” are found not only in conventional perfumes, but also in virtually all body care and skin care products. They are often used to mask unpleasant scents, or to add a specific scent to a product. The main issue with synthetic fragrances is that in order to protect a “trade secret” (the secret recipe used to achieve that particular scent), the ingredients used to create the fragrance are not required to be on the product label. 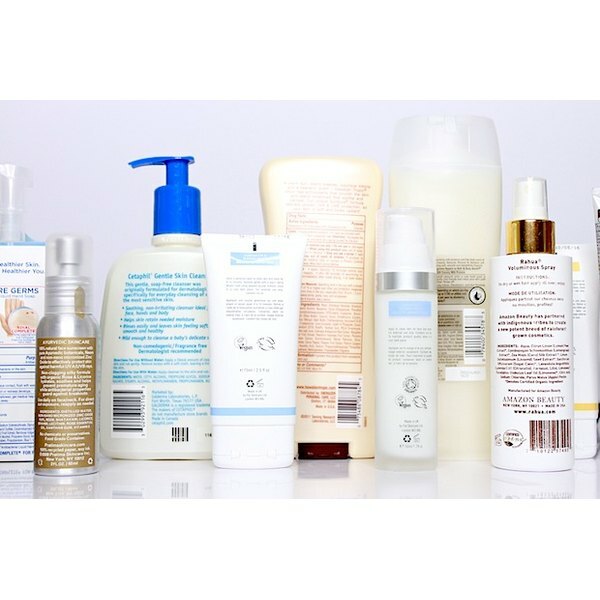 Unfortunately, among the “secret” ingredients are often concerning ones, such as phthalates and parabens. How to avoid: Avoid products containing “fragrance” or “perfume” and choose 100% organic products. If you would like to find a perfume that does not contain synthetic fragrances, read my previous post about how to choose a non-toxic perfume. This is an organic compound generally found in sunscreen products, but it is also in nail polish, fragrances, hairspray and cosmetics. It provides broad-spectrum ultraviolet coverage against both UVA and UVB rays. It is also used a photostabilizer, preventing UV filters from losing their effectiveness in sunlight. The concern about oxybenzone is that it may be a potential endocrine disruptor and possibly photo-allergenic, as it forms free radicals with exposure to sunlight. How to avoid: Choose a physical sunscreen product, (also called sunblock), and avoid all other products containing oxybenzone. Do any of your products contain these ingredients?